Quentin Hogg, founder of the London Polytechnic, purchased Holly Hill Park in 1879, and, soon afterwards, employed Edward Milner – or possibly his son, Henry Ernest Milner – to made extensive alterations to he surrounding grounds. 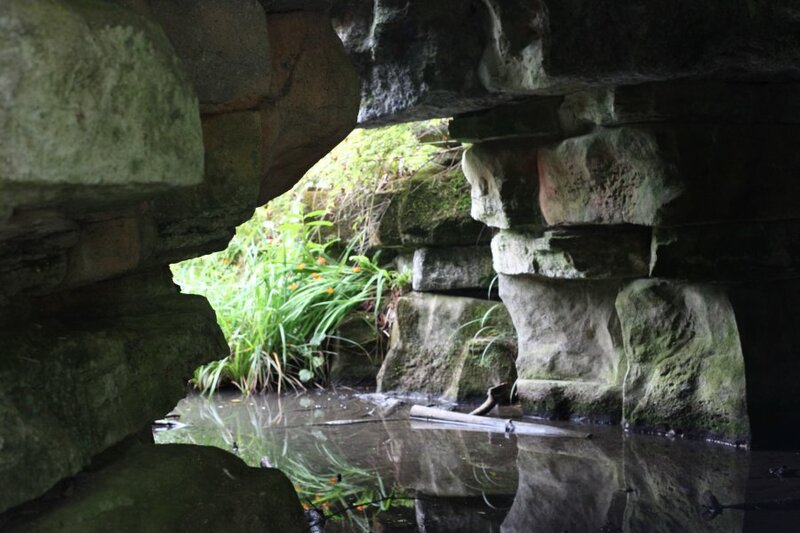 James Pulham and Son were called in to implement his plans, and created two small lakes along the bottom of the valley gardem, together with islands, waterfalls, stepping stones, and a boat house at one end. Further modifications were made c1892, when the property was owned by Henry Foster, but the property was allowed to go derelict after it was sold in 1947, and it was taken over by Fareham Borough Council in 1954. They have invested a lot of time and money in restoring it to something close to its original glory, and they are to be congratulated on winning the ‘Green Flag’ for Outstanding Park award in 2008 – its first year of entry. A full description of the work done by James Pulham and Son at Holly Hill Park – together with a number of pictures – can be found in Chapter 13 of Rock Landscapes: The Pulham Legacy – the critically-acclaimed and lavishly illustrated definitive story of the lives and work of James Pulham and Son. Written by Claude Hitching, with featured photography by Jenny Lilly. Published by Garden Art Press. Posted on August 26, 2014 June 26, 2016 by Claude HitchingPosted in Book ContentsTagged . . James Pulham and Son, Boat Cave, Claude Hitching, edward milner, Henry Foster, holly hill park, Jenny Lilly, Quentin Hogg, Rock Landscapes: The Pulham Legacy.